German MPs voted overwhelmingly in favour of the ‘foreigner toll’ today. So what happens now? 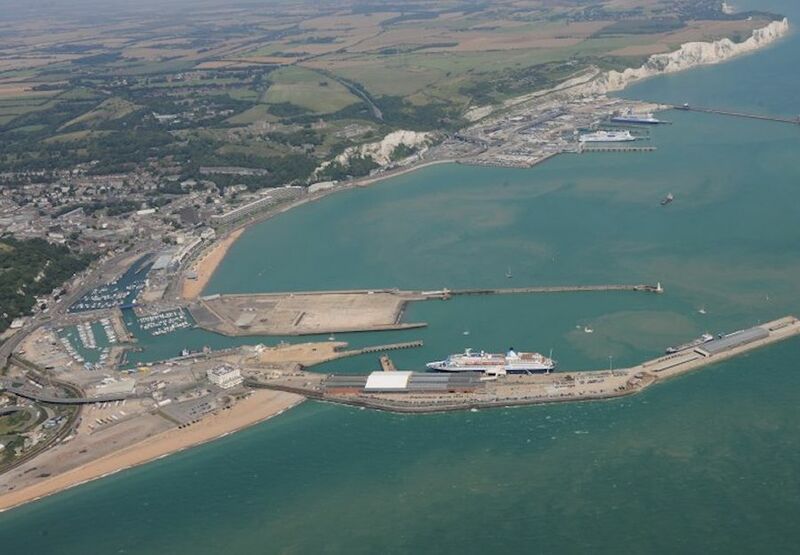 Also, new traffic management on the A20 into Dover to prevent freight queues in the town centre. MEPs split on German minimum wage rules for truck drivers (as Spain considers same). And, weekend road works in Germany and Luxembourg, a stoppage Mont Blanc Tunnel tomorrow but good news on the Karawanke Tunnel. Last minute concessions smooth passage of foreigner toll but will they be enough for Austria, the Netherlands and the European Commission? It’s the moment the European Commission, Austria and the Netherlands say they have all been waiting for: when the ‘foreigner toll’ becomes law in Germany. All three said previously they had to wait until the toll was on the statute books before they could start legal challenges. This morning, MPs in the German Bundestag parliament voted for the new law: 433 for, 128 against and six abstentions. The foreigner toll has had a long and difficult gestation since first appearing on the manifesto of the Christian Social Democrat party in Bavaria ahead of the general election in 2013. It was made a deal breaker in subsequent coalition negotiations and as such has the full backing of Chancellor Angela Merkel. 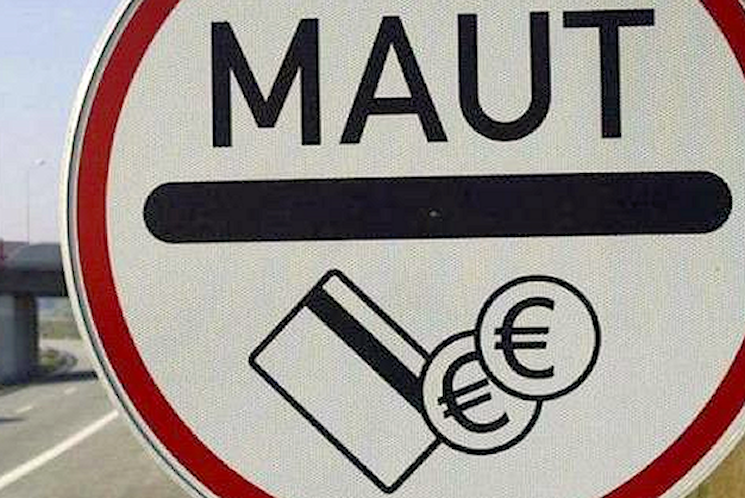 All drivers will pay the toll but German motorists will have it rebated via their vehicle tax. It starts in January next year. Foreign drivers need the vignette to drive on autobahn motorways. Apart from legal threats from both Austria and the Netherlands – alleging discrimination – the bill has faced sustained hostility from opposition parties, coalition partners, state administrations and even driver groups like the ADAC. Earlier this week it was announced the price of the vignettes would be graduated against engine size and emissions – from €5-15 for the ten day vignette and €16-30 – to head off criticism from the European Commission that the short term tolls were disproportionately expensive compared to the annual cost. The crucial point however is that linking the vignette to environmental performance gives the German government wriggle room vis a vis EU rules. More later. roundup: GERMAN MINIMUM WAGE. In a debate on Wednesday, MEPs were evenly split on new German minimum wage truck driver rules according to a summary from the European Parliament. ‘Many speakers stressed the need to prevent social dumping and ensure fair competition among hauliers. Some suggested an EU-wide minimum wage and urged the Commission to table proposals to protect drivers’ social rights and working conditions, including blacklisting companies which break rules,’ it says. Others said imposing minimum wage rules for transit drivers obstructs the free movement of goods by adding to the costs and burdens on haulage firms. Transport commissioner Violeta Bulc said the Commission was still assessing the German measures but will address the issue of social standards and working conditions in transport in its next legislative ‘road package’ due next year. Euractiv has a blow by blow account here. Meanwhile, TrasportoUnito says the Spanish government is the latest to consider similar minimum wage rules. ROAD WORKS. Germany: the A45 at Dortmund – between J8 Dortmund-Sud and J7 Witten – will be shut both ways for twelve days, from 05:00 Sunday 29 March until 05:00 Friday 10 April, to repair high voltage lines says ADAC. Luxembourg: the Croix de Gasperich interchange south of Luxembourg City, between the northbound A3, westbound A1 and eastbound A6 will be closed from this evening until 06:00 on Monday as will the A1 westbound to A3 southbound says Wort.lu. Austria: good news, the A11 Karawanken Tunnel from Villach across the Slovenia border has re-opened on schedule after a long-running refurbishment reports ADAC. There is still some work to do but dates are yet to be announced.